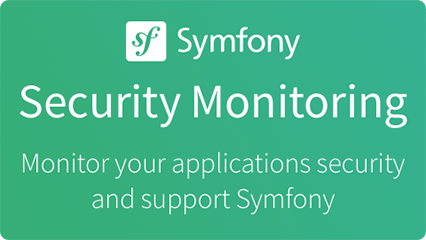 Symfony ™ is a trademark of Symfony SAS. All rights reserved. See Trademark and Logo Policy details. Symfony logo is an original artwork created by Symfony SAS and published under the terms of the copyright license. See Trademark and Logo Policy details. Symfony Website design is an original artwork created by Symfony SAS and published under the terms of the copyright license. Unless stated to the contrary, the website contents are published under the terms of the Creative Commons Attribution-Share Alike 3.0 Unported License. See license details. Symfony Source Code is published under the terms of the MIT License. See code license details. Symfony Documentation is published under the terms of the Creative Commons Attribution-Share Alike 3.0 Unported license. See documentation license details.